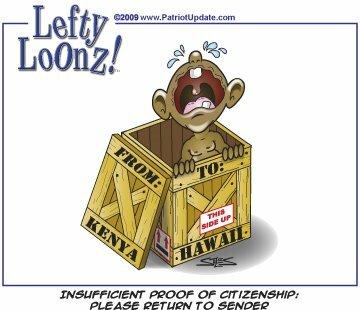 If you have a computer, you probably have noticed the torrent of FWDed emails with titles like "Bring Home Our Troops: Send the Democrats" and "See Obama's Kenyan Birth Cert." Curious about the origins of these FWD:FWD:FWDs, I enlisted a systems analyst and followed the digital trails backward. Sometimes the source is garden-variety grassroots, the likes of a patriotic cowboy who thought up a catchy ditty on the truck ride home from work one day, plucked it out on his guitar that night, was persuaded by friends to make a low-budget video, then sat back agog as the YouTube link went viral -- that's the story of Ed Montana and his hit "Obamanation." Perhaps more often, greater strategy and calculation is involved. A good deal of the "conservative revolution" is produced by Patriot Depot™, a division of Discount Book Distributors, a Georgia corporation founded in 2007 by Brandon Vallorani, an MBA with a graphic design background. His Chief Operating Officer is another MBA, Jay Taylor, whose undergraduate degree was in computer engineering. Patriot Depot, which advertises "Supplies for the Conservative Revolution," now has nine employees in White Hall, West Virginia, mostly packing and shipping books, DVDs, bumper stickers, and t-shirts with original messages like, I'll keep my guns, freedom & money... you can keep the "change!" Taylor told me that the company has sold nearly 100,000 Keep the "change!" bumper stickers. These "Commandments" also are for sale at Patriot Depot on a t-shirt. Which brings us to emailers with itchy FWD fingers. "We hope they'll forward the emails on," Taylor says. He acknowledges that such people serve as unwitting salespeople in a multi-tiered marketing system, like Amway's. He is reluctant to divulge the resulting annual sales, other than "between one and ten million dollars." An educated guess is $3.5 million. "Initially it was a business opportunity," he says. "Then we saw an opportunity to get the message out." The company recently launched Patriot Update, a website complete with news, commentary, and editorial cartoons (example below). They also just published a book, Born To Lie: From The Birth Certificate to Health Care. Taylor anticipates sales of 10,000. "Personally I think he was born in Hawaii," Taylor said of President Obama. He believes Obama ought to release his "long-form" birth certificate, however. Expect to soon see forwarded email with similar rhetoric. And if you also see a spate of "got a birth certificate?" bumper stickers, it's because one comes free with every copy of Born To Lie purchased.